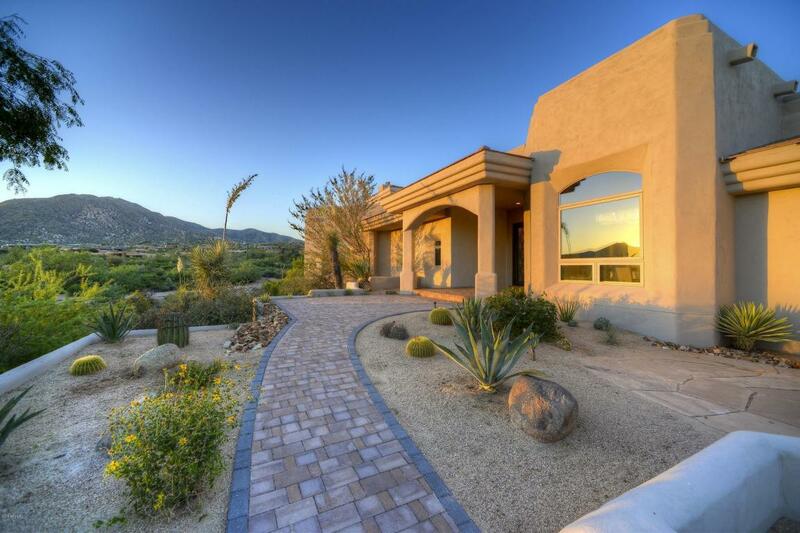 ENJOY PRIVACY & VIEWS from this 2016 RE-DESIGNED & RENOVATED CUSTOM HOME in the Village of Painted Sky at Desert Mountain. 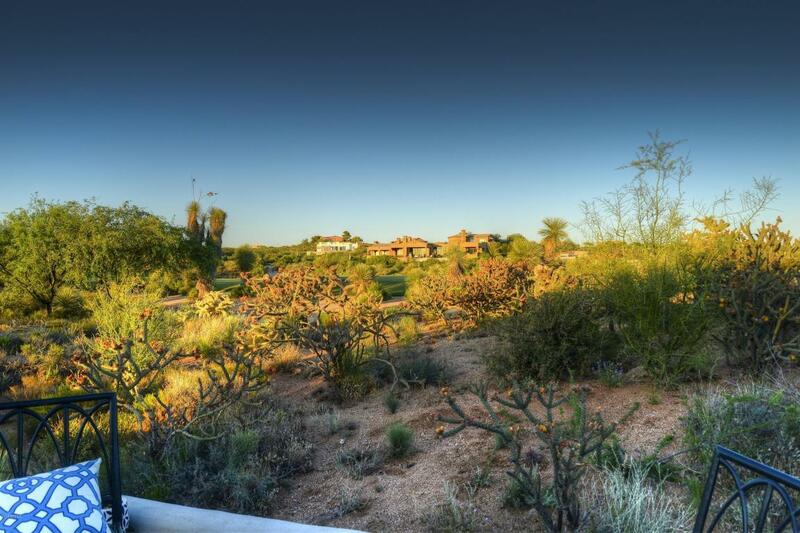 Located on the 15th fairway of the Apache Golf Course, one of only 2 lake golf holes. An artistic wall of glass welcomes you as you enter the desirable open floorplan concept residence & exceptional designer finishes are throughout, including an exotic blend of Marbles, stacked stone fireplace, designer lighting, and multiple show-stopping floor to ceiling glass tiles. Gourmet kitchen is anchored by a stunning waterfall marble island, wall of stone/glass tile as well as a one of a kind fabricated stainless hood and offers high end Wolf/Subzero & Asko appliances. SINGLE LEVEL LIVING w/ an upstairs bonus/loft area w/ wet bar & 2 view decks. 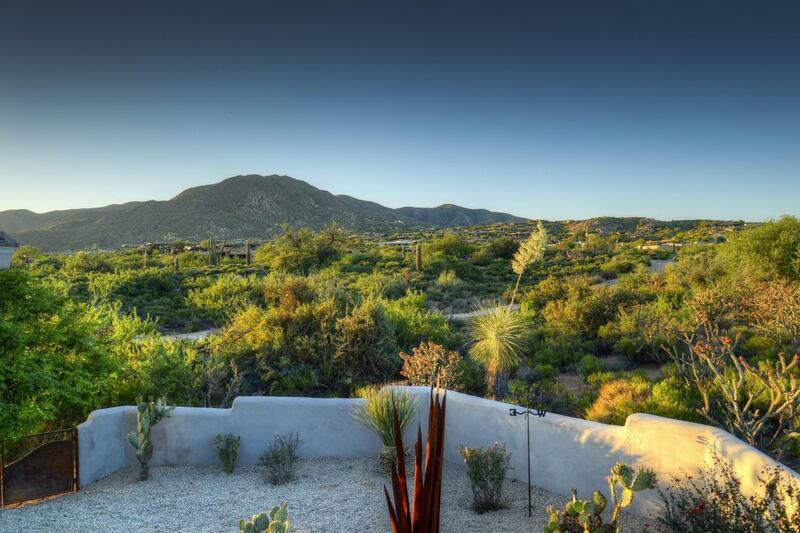 With 3 EnsuiteBedrooms, the tranquil master retreat offer a private patio w/ MTN VIEWS & a luxurious master bath w/ marbles, vessel tub & lg free standing shower. 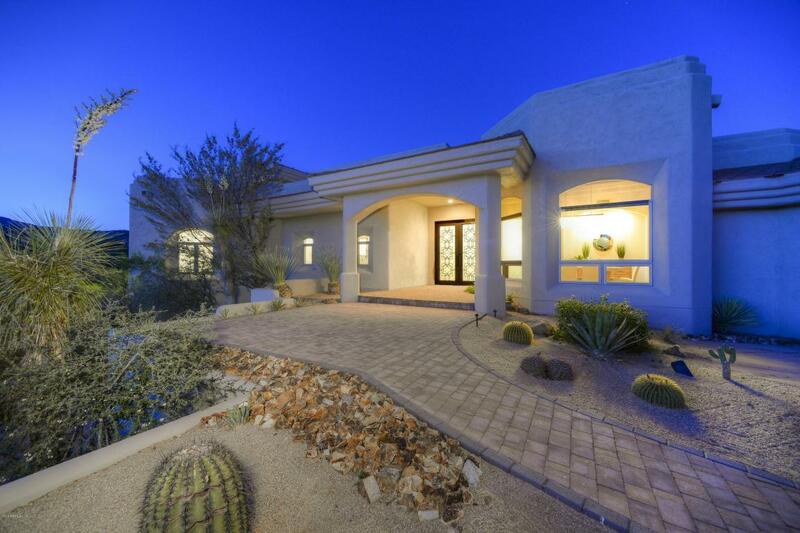 Expansive outdoor areas w/ built-in BBQ, covered patios and VIEWS. Cross Street Pima & Cave Creek Rd.